Meghan Markle has been on a roll with her amazing outfits since the royal engagement. We've mostly seen her in stylish coats, but she just mixed things up to attend the Endeavour Fund Awards in London. For the award ceremony, she chose a timeless Alexander McQueen black pantsuit with a classic white button-up blouse and pumps. Working girls, take note: A well-tailored black pantsuit is always a sound investment. 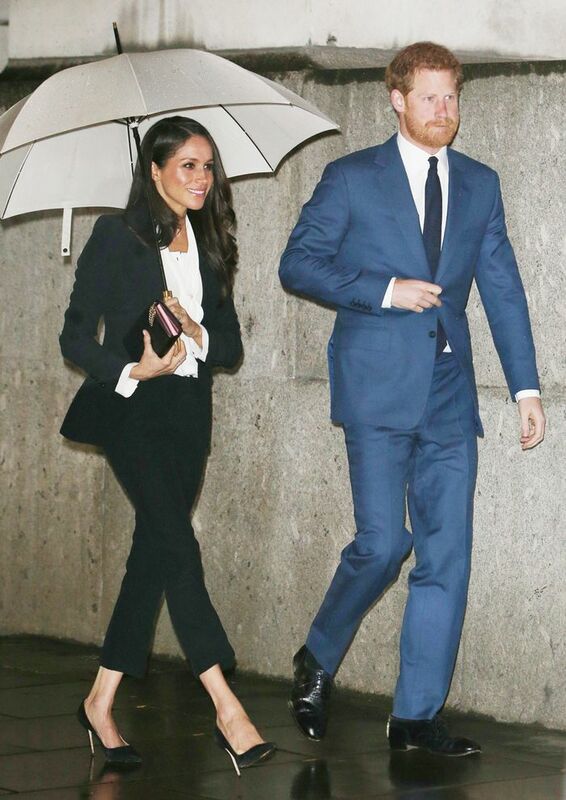 Emulate Markle and opt for cropped straight-leg trousers, which are perfect for showing off your best pair of pumps. If you're not exactly boardroom-bound, however, you can throw on a graphic tee and slides for a cooler version of the look. Any way you slice it, you'll get plenty of mileage out of a sleek pantsuit.